DAVID LE/Staff photo. 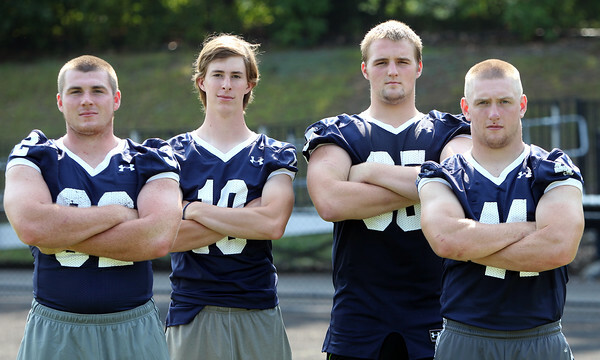 St. John's Prep football captains Jack Lambert, Oliver Eberth, Jay Carnevale, and Sean Fallon. 9/3/15.